Jerrod Westfahl grew up on a diversified farm in Reno county Kansas. He was actively involved in 4-H and FFA. Throughout his childhood and into adulthood he has enjoyed working with and for agricultural businesses and customers of all kinds. 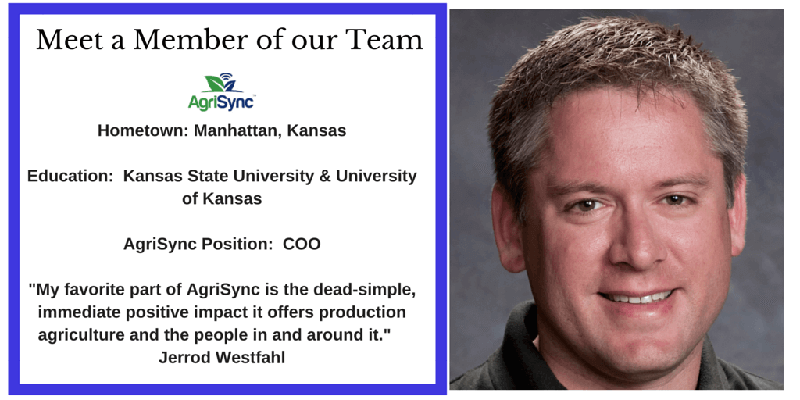 Jerrod attended both Kansas State University and the University of Kansas before taking on his position with AgriSync. Outside of AgriSync Jerrod is a proud husband to Amy. Together they have three kids ages twelve, nine, and seven. He enjoys spending his free time coaching youth sports, volunteering, and dreaming about solutions to big problems. He also loves to travel. Jerrod is currently working on visiting all fifty states in the U.S. He only has to visit West Virginia, Oregon, and Alaska to complete the list! 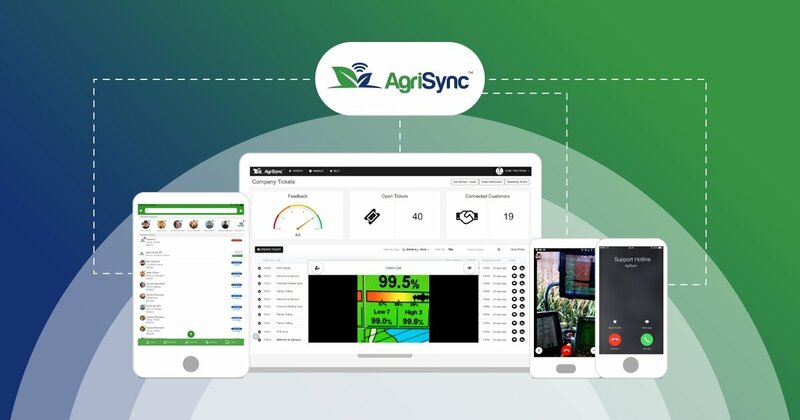 We value and appreciate Jerrod’s expertise and commitment to AgriSync. Thanks for all of your long hours and hard work.